After several months expecting its release, the Chinese corporation has launched the next step in the Mi Mix line. The Xiaomi Mi MIX 2S is already in the market and the need to check the features of the new product have been asked by possible users; and here there is our view of the device. For starters, the product embodies what was expected when it got the “S” suffix, an improvement over its predecessor in terms of processor, appearance, and performance. In the case of Mi Mix 2S, the processor is a Qualcomm Snapdragon 845 chipset, an appreciative upgrade from the 835 presented in the previous version. The bigger chipset does not harm battery life, instead of that it helps with the functioning of the product. The operating system for the smartphone is MIUI 9.5 on top of Android 8.0 Oreo, the combination of both systems is shown in the improving gallery, notifications, and browser functions. The internal memory varies according to the model introduced in the market. First, we find a 64GB storage capacity with 6GB of RAM; on the second hand, there is a model with 128GB at 6GB of RAM; and, finally, the highest model offering 256GB of internal storage with a 8GB of RAM. It is important to recall that, just like its older brother, the Mix 2S lacks from a micro SD slot, so it is necessary to take into account the capability in terms of storage suitable for your needs. But the most remarkable new feature to the device is the camera system. Using a 12MP camera –with a regular f/1.8 wide and an f/2.4 telephoto, the camera provides with the best settings for outdoor and indoor pictures even in low light conditions. Although, the software is still a work in progress, with upgrading coming soon; the pictures taken by the device are in the top notch category for a smartphone of this range. A groundbreaking feature is the position of the 5MP front camera at the bottom of the display, a place selected by the company in its latest releases. Another feature of relevance in the device is the fingerprint sensor at the back of the phone. Working for locking reasons, it can also be employed as obturator for the front camera at the moment of a selfie. Plus, there is the possibility of 4K recording, with certain failure in the equilibrium and saturation; but a good quality performance under good lighting conditions. 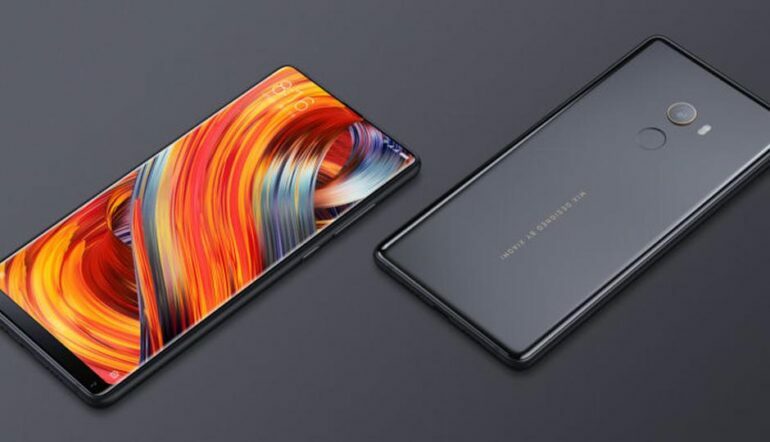 Xiaomi has played its cards betting to this line, and it has proved that every new launch in Mi Mix products is an improvement in the development of smartphones.